One of Scotland's most controversial religious figures, Pastor Jack Glass, has died at the age of 67. The founder of the Zion Baptist Church in the south side of Glasgow had been diagnosed with lung cancer in January 2003. The notion that Pastor Glass hated Roman Catholics is a myth. He thought that Roman Catholicism was based on a falsehood, and he said so, at the top of his voice, in Glasgow, Iona and Rome or wherever he smelled danger. But hate Roman Catholics? Never. I admired Jack's courage. He would go anywhere to protest about the Pope, the Church of Scotland, Billy Connolly, the ecumenical movement, religious satires, sexually explicit movies, bad language and tolerance of gays. He was unafraid to stand up in any company and say his piece, despite the hostility which was directed to him. He was a mixture of both bravery and hubris. He roared many times at George MacLeod, founder of the Iona Community, yet the two men had much more in common than either would have admitted. Jack Glass was admirable and preposterous, a Protestant throwback whose writings about causes he disagreed with could be narrow and bigoted, but who was capable of personal generosity and kindness. The great voice is stilled. My lugs are grateful. But I will miss him, too. Never heard of the man and after reading the previous post about him, I certainly wouldn't be shedding any tears for someone like him. There is always room for people like Glass in the world - he might have been considered a troll if he had come onto these boards - wonder if he did???? Very sad for the pastor Glass family, for their loss, He was always in the news, when I lived in Glasgow, Never knew he srarted his own church. Zion Babtist Church in Govanhill, or heard of such a church, a most colourful character, I never looked to see what he looked like, & now thousands of miles away I see & read all about him on gg, he'll go down in glasgow history for it seems he was forever talking out on his beliefs & protesting. I remember him protesting the other side of the fence at Bellahouston Park when we went to see the Pope. He shouted all through the Mass, had no respect for the occasion or ceremony. Zealot's kinda scare me regardless of what they're shouting about. The proper thing to say I guess is may he rest in peace. Please let me put the record straight regarding Pastor Jack Glass. I have been a member of Zion Baptist Church Calder Street Glasgow, for 17 years where I enjoyed the blessing of his exceptional ministry. Pastor Glass was a lovely man in every way as he spent his life striving to be more like Jesus Christ. I am still mourning greatly for my Pastor as he was more than just a great preacher, he was my spiritual father. I feel as though a part of me has died with him and his vision and influence will be with me till the day I die. All the pastor wanted was the nation won for Christ. He was a modern day prophet sent from God to root out, pull down to build and to plant. He did not tell the nation what they wanted to hear, he told them what they needed to hear, without regard for his own popularity. Like Jesus in his day, he was despised, hated, mocked and rendered an extremist and bigot. I am an ex-Roman Catholic and in the 17 years I knew him I can say that he really was a kind gentle man who did not despise Catholics but the Roman Catholic system where it was contrary to the word of God. When he mounted the pulpit he preached with the fire and authority of God, when off the pulpit he became this humble beautiful man who just overflowed with Christ likeness. When speaking to the pastor on a personal level there was a transference of his beautiful spirit that filled you with peace. You walked away feeling 10 feet tall. In losing Pastor Jack Glass, we have not just lost a great preacher, I believe Scotland has lost its nations prophet. The Bible says a prophet is without honour in his own country, and our pastor was indeed this. The Pastor had his finger on the pulse of worldwide events which the bible describes as the end times. He believed that we are living in the last days. The Pastor used to say "when I die, dont say I've gone, say I've arrived!" What a way to go, to pass into eternity having suppressed the wants and desires of the flesh and to have fed and nurtured ones spiritual side. He is now resting in the place he lived for. He did not live for this world or anything in it. He craved the world to come. I will defend the reputation of Pastor Glass till the day I die. On the day of judgement those who have mocked this man through the media and conspired to miss-represent him will have to give an account for their actions before Almighty God. One of the things our pastor said in his final address to the nation was that Glasgow has rejected Christ and unfortunately God will have to punish it. I just hope God has mercy on us. I think your Pastor would have loved your eulogy. Thankyou for sharing your thoughts and insights with us, it is a reminder for us all there is always another side of the story to listen to.  Paul sorry for your loss, of Pastor Glass, will the church go on? & who will be your Pastor now? Hmmm, it would appear that this fruitcake is getting around. Tell me something jeezy, do you know what a cult is? Demonstrating against the Marilyn Manson concert at the SECC in Glasgow in the summer of 2003. The demonstration was filmed by Scottish Television as part of a 'fly-on-the-wall' documentary of what turned out to be the last summer of his life. The documentary contained a tragic irony in that it shows the Pastor and his family and supporters celebrating the defeat of (the devil's) cancer after he was wrongly, or at least prematurely, pronounced to be cured. Ach well there's none of us perfect, God Rest his Soul. We've all got to go the same road in the end. I hope he's at peace with his maker. 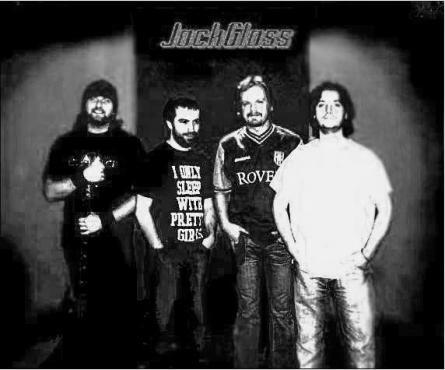 After watching the BBC show 'The Devil & Jack Glass', it inspired me to start a rock band called 'Jack Glass'. The man's head was in the clouds for sure. We sing lyrics that challenge all religions to prove their is a god, prove that the bible speaks of peace & love when there are more words of pain, suffering, death, betrayal, lust than of love & happiness. How can a book of love tell of so much hate, war & death? 1. Have you ever seen Jesus, Satan or God? 2. Have you ever heard a recording of Jesus/God's voice? 3. Why does the bible have more references to pain, death, war, betrayal, than of love, happiness & peace? 4. Do you know that natural chemicals in the brain give you feel good factors & is nothing to do with the holy ghost? 5. Can you show me real proof in the existence of god & not just blinded faith (brainwashing). 6. Can you prove that exorcism is not the same as being put in a trance, similar to being in a hypnotic state? They are so similar that science can prove it's hypnosis. Knowing pentecostal churches they'd say I'm probably possessed by demons for writing this, or in league with satan. I don't believe in any reigion, demons & angels do not exists (lord of the rings stuff), the devil is no more real than a god thats happy to see us in pain...load of garbage. How long will blinded people follow this fairytale life? Look at the state of this planet...there is no sympathetic, caring, loving god...we killed his son, why would he show us mercy? We've been hearing from preachers for 100's of years that the end is near...they will eventually get it right, by law of averages. But it won't be anything to do with demons & angels. I heard my minister say every weekend the end is near, for 14yrs...20yrs later the planet is still here. It was funny to see folk (on BBC 'The Devil & Jack Glass') praying to god asking for him to protect folk from the evil of 'Charles Manson', when they meant Marilyn Manson, who was playing a gig in Glasgow...surely when addressing a 'god' you have to get your facts right? There's a big difference between a serial killer & rock star. Those religious fanatics ended up causing trouble at an otherwise peacful gig, when kids just want to see their band and have a good night. Ignorant christians yet again spreading their poison, bringing choas to peace with their religious rubbish. I went to a pentecostal church for 14yrs, but thankfully I got away from it before my head was full of self loathing & burdened with sinful thoughts. Now I write music & lyrics making sure people out there think for themselves, which religion will say is the devils work. Just another of their pathectic ways to try and keep a grip on you. Thinking for yourself is not a sin...it is your right as a human being. Churches like to think for the people, this is not the way. R.I.P. Jack & thanks for the inspiration behind my heavy metal band, which has been positively received at every gig so far & we may be onto bigger & better things. We'll be coming to Glasgow soon, so keep your eyes out for the fliers. Once we've recorded the album & a demo, then Glasgow will know all about us. It would be nice to see the Zion folk outside before we play one night. Belive in science, what you can see, touch, hear & smell & think logically. We do not live in a 'lord of the rings' existence, there are no gods, devils, spirits, ghosts, angels, demons, fairies, elf's & monsters...just scientific fact. If something can't be proved yet...it does not mean it's a miracle from god, it's just a puzzle we've not solved yet.